Sources close to the Delhi Chief Minister Arvind Kejriwal say because of his self-imposed confinement, he skipped his morning and evening walks. 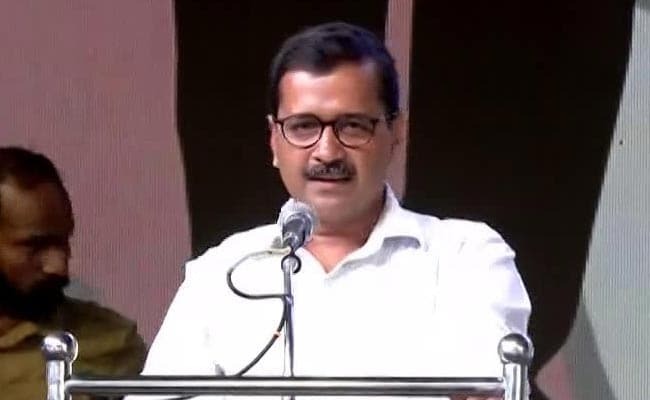 Arvind Kejriwal, who ended a nine-day sit-in at the Lieutenant Governor's residence Raj Niwas yesterday, cancelled all his meetings for today, apparently because he is unwell. Sources close to the Delhi Chief Minister say because of his self-imposed confinement inside a guest room at Lt Governor Anil Baijal's home, he skipped his morning and evening walks and also had irregular meals, because of which his blood sugar has shot up. Mr Kejriwal, 49, is diabetic. "He has a strict routine of an hour's walk twice a day and balanced diet, which went for a toss because of the dharna (sit-in), so his health worsened," said sources. Clearing his diary for today means a meeting with Indian Administrative Service (IAS) officers, which was part of a truce following which the officers had agreed to attend meetings called by Mr Kejriwal's Aam Aadmi Party (AAP) government. Mr Kejriwal and three of his ministers went to the Lieutenant Governor's office-residence last Monday and refused to budge until he heard them out and stepped in to solve their problems - one, what they called a "strike" by officers since February, and the other, Mr Baijal not approving a doorstep delivery scheme. AAP alleged that the officers had boycotted work since Chief Secretary Anshu Prakash alleged that he was manhandled and abused during a meeting called at late night at Mr Kejriwal's house on February 19. On Tuesday evening, Mr Kejriwal said IAS officers had agreed to attend meetings and called it a "victory". A group of Delhi government employees later wrote an open letter to the chief minister asking for a meeting on their safety. "We believe that you (CM) will appreciate, disagreement by an officer on any policy matter with the minister/CM should not be construed as a wilful opposition of policies of the government," the letter said. "We now look forward to meeting you to discuss how to make our working environment safe and secure, not only in relation to physical assaults but also for verbal assaults, threats, intimidation and attack on dignity and respect of officers/officials including lady officers/officials," the officers wrote.